The purpose of our web site is to be the link between Christians and all things Christian. In time our objective is to have available for purchase videos, books, merchandise and music. We are currently working on a few items to be included. For now we have our first book available for your approval and purchase. Read how the author was abandoned by his parents, left in and orphanage, was sexually assaulted yet forgave all his tormentors. He earned his Master Degree and built a multi million dollar business. 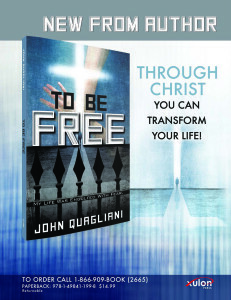 Read how the author gave Jesus control of his business and became a success. Always remember “You can do all things thru Christ who strengthens you”. We are also happy to bring to you the awe-inspiring treenwares of the celebrated Nancy Lou Webster, owner and founder of the WW Treenware Company of Elgin TX. Her gorgeous hand-crafted one-of-a-kind crosses are available for purchase on this website. Webster’s treenware has been featured in: Country Women, Texas Highways, The University of Texas Institute of Texan Cultures in San Antonio, TX, and the Smithsonian in Washington, D.C.
We will soon add more items on this website that are divinely inspired. So come visit us often. We appreciate that. We are also looking for quality Christian merchandise or items to be distributed on our website. Please provide sample for our evaluation. Send to our mailing address at P.O. Box 247, Elgin TX 78621 and on package mark sample. Understand we will not be returning these samples.